When women experience the onset of menopause, various side effects may appear, mainly due to the changes in the hormonal balance. Women particularly have to struggle to maintain healthy estrogen levels, and hormone replacement therapy is often prescribed. However, this therapy can have side effects itself, so it is not such a good choice for everyone. 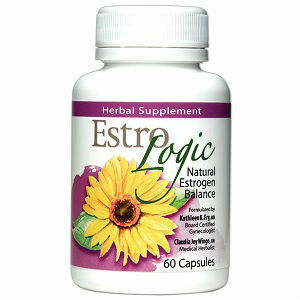 The alternative is represented by natural supplements, based on well tried remedies for menopause side effects.Kyolic Aged Garlic Extract Estro-Logic is such a supplement that promises to help the body regain its natural hormonal balance, through the addition of phytoestrogens to one’s diet. Here is some more information on this particular product. What Does Kyolic Aged Garlic Extract Estro-Logic Contain? These are the exact amounts you can find in each capsule. We are glad to see black cohosh, a well known phytoestrogen with verified effects on relieving the symptoms of menopause, soy isoflavones and wild yam. Overall, this looks like a dependable product to use for treating the symptoms of menopause, through daily intake. The recommended dosage is two capsules daily, taken with food. A bottle with 60 capsules, or one month supply, costs 24.99USD. We did not see any clear money back guarantee offered on the manufacturer’s website. However, since the product is sold through third parties, this may be something you need to discuss with resellers. From the list of ingredients, Kyolic Aged Garlic Extract Estro-Logic looks like a reliable product for treating the side effects of menopause. Combining the strength of well known herbal extracts, this is a good formula for reducing the incidence of hot flashes and other bothersome manifestations of menopause. Jackie Horowitz	reviewed Estro-Logic	on April 9th	 and gave it a rating of 3.